Another one joins the Fraser Yachts sales fleet as Jose Arana Jr sends news that he's signed the 46.33m motor yacht White Knight for sale. Built by CRN in 1985, White Knight was refitted in 2010. 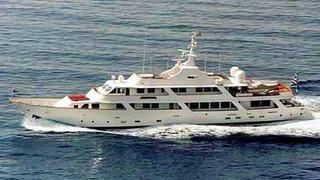 She offers accommodation for 12 guests in a master suite, VIP stateroom and two double and twin staterooms while twin 2650hp Detroit Diesel engines give her a range of 2,000 nautical miles. Lying in Cyprus, White Knight is asking €3.75 million.